With autoimmune disease, the quality of our healthcare practitioners makes a huge difference in the course of our illness and our quality of life. 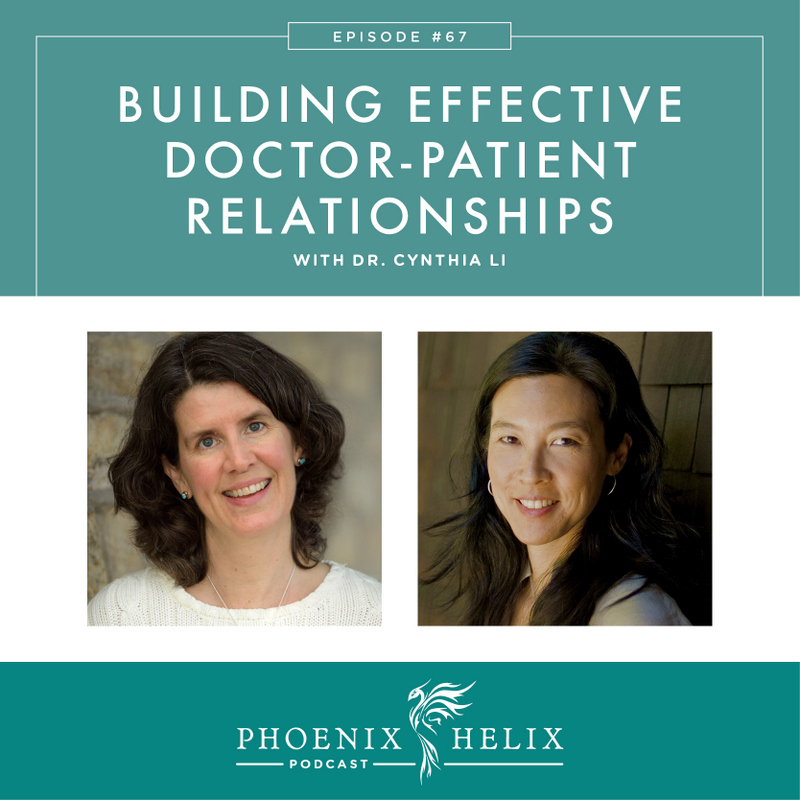 I'm excited to have Dr. Cynthia Li as my guest today. A conventionally trained MD specializing in Internal Medicine, she was confident in her abilities to help her patients. Then she became chronically ill, resulting in her being housebound for two years. Her journey back to health changed not only her life, but how she practiced medicine. Dr. Li has the unique ability to speak to us from the point of view of both doctor and patient. Today, we’ll be talking about what makes a good doctor, what makes a good patient, and how we can create the best relationships for our health. In celebration of Autoimmune Disease Awareness Month (March 2017) used the coupon code AIPSUPPORT for $25 off any order of $150 or more. $5 per order will be donated to the AARDA. Expires 3/31/17. Dr. Cynthia Li developed post-partum thyroiditis after the birth of her first child. It's similar to Hashimoto's but most patients recover within 1-2 years. Just when she was starting to feel better, Cynthia traveled to Beijing and experienced a “perfect storm” of pollution exposure, unusual foods, gastroenteritis, and a new pregnancy, all of which culminated in a health crisis that put her in the emergency room in Beijing, kept her in bed for 6 months after returning home to San Francisco, and left her housebound for 2 years. She was eventually diagnosed with celiac disease, chronic fatigue syndrome, and Hashimoto's, but it took years for her to find those answers, and even longer to slowly rebuild her health again. Now, she has recovered her health by 80-90%. She no longer needs to ration her energy, she's able to hike, work again as a physician, and she recently took a successful trip to Hawaii with her family. Travel had been a big fear, for obvious reasons, so that trip was a true celebration. Insomnia remains her biggest health challenge right now. 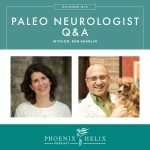 Here are some of the things that helped her own healing journey: acupuncture, giving up vegetarianism, the paleo autoimmune protocol, a brain re-training technique called DNRS, healthy detoxification, qigong, and functional medicine. Part of the healing process for her also addressed the mental health consequences of long-term illness. She developed PTSD from her experience, and receiving therapy for that was essential to re-entering life again when her physical health improved. She also found it important to prioritize pleasure – something that often gets lost when we are ill. Trained as a conventional MD in Internal Medicine, her health crisis also led to an existential crisis, where she questioned the way she had been practicing medicine. Internists are supposed to be experts in chronic health conditions, yet she was unable to help herself, nor were her colleagues able to heal her. Cynthia believes in the saying: “You break down, and then you break open.” She said it took 2 years at rock bottom to open her up to treatment options beyond conventional medicine. 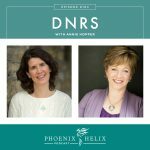 Now, in her medical practice, she combines the best that both conventional and functional medicine offer. She was taught by brilliant scientists and compassionate physicians, and she felt proud to be part of this lineage. She was pushed out of her comfort zone, to achieve more than she thought possible. She also learned critical skills that save patient's lives. Most of the training takes place in hospitals, leaving new doctors minimally trained in outpatient care. There is a tradition of overworking medical school students and residents, in an effort to make them “stronger”. Instead, it's a lesson in how NOT to live a healthy life: poor diet, minimal sleep, lack of sunshine, lack of exercise, etc. Physicians are also taught to detach from their patients, to maintain objectivity. A side effect is that their is no support of the “heart of the doctor”, leading to one of the highest rates of burnout and suicide in any career. When there's no support of the doctor, how can doctors support their patients? The language used in doctor's offices often has a negative bias that sets up an “us vs. them” relationship. Symptoms are called “chief complaints”. Patients who are chronically ill are often called “frequent flyers” and “difficult patients”. Dr. Li, instead, asks her patients about their “health goals.” She specializes in chronic illness and sees herself and her patients as partners, improving the patient's health over time. Sometimes we bring the baggage of past negative medical experiences into new appointments. It changes the way we speak to new doctors and even our body language before we speak. This sets up a dynamic of confrontation rather than support. Consciously choose to approach each appointment with a fresh start, especially with new physicians. Remember that your doctor is human, too. Compassion goes both ways. Resist the temptation to see your doctor as your savior, setting your health problems at their feet. This is very overwhelming to a physician. Remember that this is a partnership with you at its center, and that healing is a long-term endeavor. Dr. Li herself does a “clearing practice” before each patient visit, and she recommends patients do the same. It can be as simple as washing your hands with the intention of washing away any negativity from past experiences and approaching this appointment with a fresh start. You can do the same through deep breathing or visualization. Eileen also writes in her journal the night before an appointment, to let go of any fears or negativity and set positive intentions for the doctor's visit. Don't bring research to your very first appointment. That is likely to get you off on the wrong foot. Treat your first appointment as a “meet and greet” where you are simply getting to know each other. Once you have established a relationship with your doctor, you can share studies with them. However, understand that doctors are very pressed for time, so they are unlikely to read books or full articles that you bring to your appointment. Instead, email them an excerpt or abstract summary with a link to the full research article. That's enough to give them the highlights and they can pursue it further if interested. It takes 17 years before current medical research translates into treatment of patients. When your doctor won't order the lab tests you feel you need, you can order them yourself online through places like Life Extension and Direct Labs. Dr. Li mentioned a complete thyroid panel. 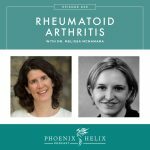 That information is included in Podcast Episode 54: Thyroid Health with Elle Russ. Sometimes doctors will look at these labs and learn from them, even when they refused to order them initially. Sometimes we don't get the complete care we want from conventional doctors. Dr. Li recommends hiring a health or nutrition coach before hiring a functional medicine practitioner. They're less expensive, and diet/lifestyle measures are so powerful they can make dramatic improvements in a person's health. If you plateau in your healing and need intervention beyond diet and lifestyle, that's the time to seek a functional medicine practitioner. With all health professionals, you might have to try a few different people before finding one that's right for you. That goes for everyone from conventional MDs to health coaches. Top priority is competence and skill: Are they exceptional at what they do? Bedside manner: Are they compassionate? Are they a good listener? Curiosity. This shows the practitioner isn't yet jaded or burnt out, and is more likely to dive deeper when troubleshooting your health problems. A great doctor will have all of these characteristics, but sometimes we need to prioritize one over the others. For example, Eileen chose a surgeon who had an exceptional reputation for his operating skills, but a poor bedside manner. She decided she could get TLC elsewhere; the most important thing was a positive surgery outcome. By contrast, with doctors she sees regularly (like her rheumatologist), she requires compassion and listening skills (alongside competence). Remember that your doctor is human, too. Keep your expectations simple in the beginning. Treat the first appointment simply as a “meet and greet” where you get to know your doctor and they get to know you. It takes time to build relationships. They don't form instantly. Remember that this is a partnership, and your participation is as important as the doctor's. Conflict resolution practices are actually quite helpful and are now being taught to physicians. These techniques can help patients, too. Resource: Pyramid of Peace. Bring notes to your appointment of things you'd like to discuss, but prioritize them so if the physician has limited time, your top priorities are met. If they dismiss you and refuse to treat your medical needs. If you do fire a doctor, consider writing a letter either to the doctor or their superiors. Keep the emotion out of it, but you have the opportunity to provide valuable feedback. Word of mouth is the best source of referrals. Ask everyone you know, especially other people with autoimmune disease. 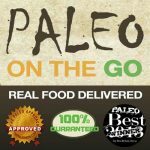 Paleo Functional Medicine Practitioner Directories are a place to start looking. At the first appointment, you can get a good sense of their bedside manner. Skill and competence take time to discover. Don't expect to find a perfect doctor. Set your priorities on what's most important to you. It often takes a few tries before finding the right practitioner for you. Prior to her illness, she had never heard the term “functional medicine.” Now, she blends the best of both conventional and functional medicine in her private practice. She's more aware of the beautiful complexity of the human body. Her own illness taught her humility. She no longer expects the answers to be “easy”. She's more comfortable admitting when she doesn't know something, and she's open to working in partnership with the patient to figure it out together. Dr. Cynthia Li isn't currently accepting patients, but you can email her through her website for a referral. She's also in the process of getting her memoir published. To be notified when it's available, follow her Facebook page or subscribe to her newsletter.